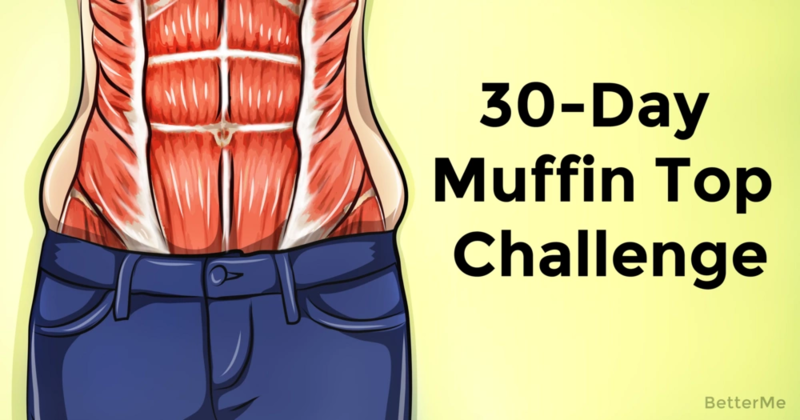 In order to get rid of the hated muffin top, one should first target the belly area. These bulges are not easy to blast. One should target the core muscles, as well as the waist area. It is possible with this workout that is designed to develop strong abs and eliminate any muffin tops. One can do it in one month with this exercise combination. In addition to muscle targeting, with this workout, one targets abdominal fat. 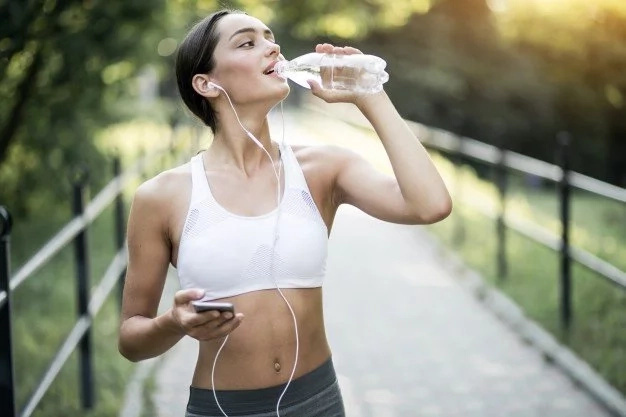 Ab fat is normally hard to reach and get rid of due to the reason that our body considers it as a guard against hunger and a survival measure. That is why it is important to also involve other body parts in the training and workout. - Jump your feet out by spreading your legs, so that they are wider than hip width apart, then immediately jump them back together. - Complete 1 full push up. Jump your feet forward to just behind your hands. Use an explosive motion to push through your heels and return to the start postion. Repeat. Here is the 30 day workout and it is a complete no-brainer. Every training day one should add 5 seconds to the workout, except the first day after a break. Every fifth day is a rest day. Burpees for 30 seconds, spiderman plank for 15 seconds and Russian twists for 15 seconds. Burpees for 35 seconds, spiderman plank for 20 seconds, Russian twists for 20 seconds. Burpees for 40 seconds, spiderman plank 25 seconds, twists 25 seconds. Burpees for 45 seconds, spiderman plank for 30 seconds and twists for 30 seconds. The next day is the day to rest and let your muscles recover. On the 6th day the intensity is increased by 10 seconds. Then the intensity is increased by 5 seconds. +5 sec, squat and thrust for 55 seconds, spiderman plank for 40 seconds, Russian twists for 40 seconds. Continue adding 5 seconds every day. Day 10 is the next day for recovery. Increase the time dedicated to exercising on day 11 by 10 secs per exercise, squat and thrust should be carried out for 80 sec, spiderman plank and twist for 65. Follow the scheme of adding five seconds over the next few days till the recovery day at day 15. After that continue by adding 10 seconds after the break (as it was before). The following day, day 16 should look like this: squat and thrust 105 seconds, spiderman plank and Russian twist for 90 sec. You should continue adding 5 seconds till the next recovery day, day 20, except for on day 21, which should look like this: burpees 130 seconds and twists with spiderman plank 115 seconds. The day 25 is the next recovery day. Continue following the same pattern for the last week of training. 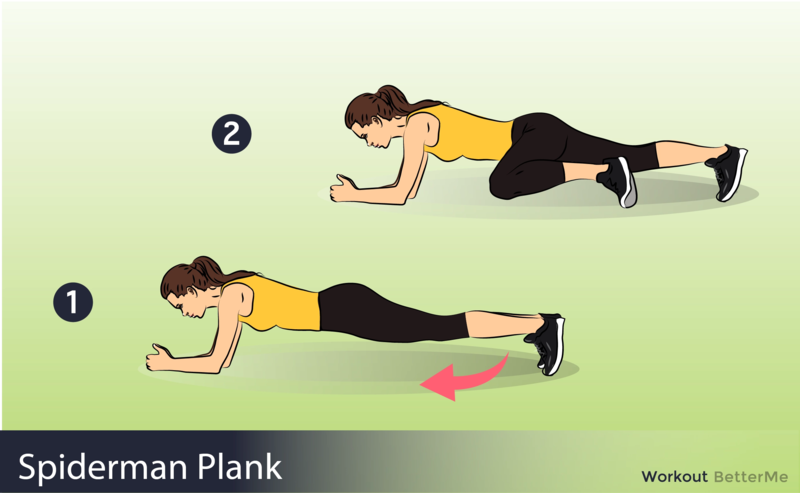 Your last day should finish with the following times: 2 minutes and 55 seconds for burpees and 2 minutes, 40 seconds dedicated to the spiderman plank and twists exercises.